Latest shoot for our talents! It is a OHM video gambit shoot for colgate, taken place on 13 August 2009. There are three different little stories to the shoot, involving people from different walks of life. Our talents Chuah Mei Theng (left) and Chieh (right) are sitting in the office, playing three young corporate colleagues discussing the topic about “oral health care”. Are they planning for a big date? Or an important presentation to the client? Anyhow a bright smile and fresh breathe are important in these occasions! 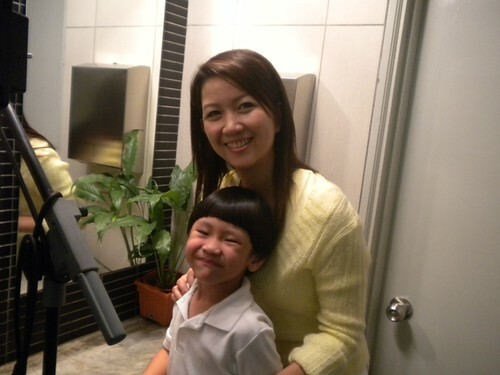 Job Tan ( as son) is telling his mom Rachel Sua (as mother) what he has learnt from school about oral health care. Watch out for the ads soon, and maybe you could pick up a few oral care tips yourself!